The iPhone 6 is turning 4 years old very soon and it’s currently the most affordable brand new iPhone you can buy right now. When the GST rate was reduced to 0%, the iPhone 6 32GB price was slashed from RM1,299 to RM1,225. For greater savings, you can get this entry-level iPhone with an additional RM136 discount. 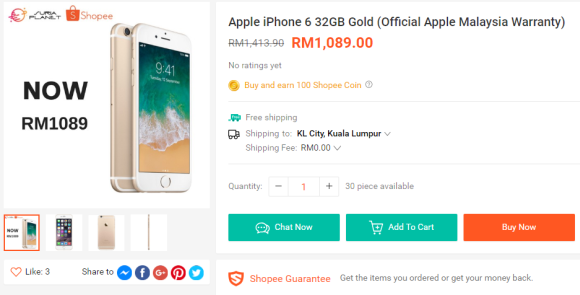 Some online stores are now offering the iPhone 6 32GB Gold for only RM1,089. It’s available via Shopee and the official Apple store on Lazada Malaysia. These are Malaysian units with official Apple Malaysia warranty. To refresh your memory, the iPhone 6 was announced in 2014 and it was reintroduced in 2017 as Apple’s new budget device. It has a 4.7″ 133450 Retina Display and it runs on a Apple A8 chip with 1GB of RAM. For taking pictures, it gets an 8MP f/2.2 rear camera and a front facing 1.2MP selfie shooter. Powering the device is a 1,810mAh battery and it still has a headphone jack. 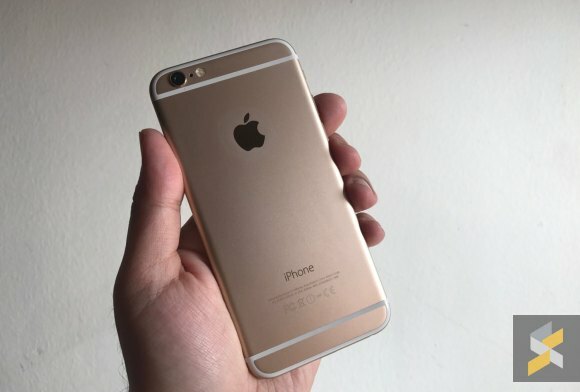 This iPhone 6 with 32GB of storage was first sold in Malaysia with a RM1,999 price tag.